No matter if you choose the shortest, the quickest or the most worth seeing route from the border town Alcoutim in the east to the picturesque little town Aljezur in the national park „Parque Natural do Sudoeste Alentejano e da Costa Vicentina“ at the west coast, it will only take you a couple of hours to drive the 180 km distance and to get an impression of the Algarve. But we don´t advise you to do so. You would miss far too much of the breath-taking nature beauty and manifoldness. 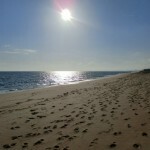 Portugal´s south offers you far more than 300 sunny days a year, long sandy beaches, culinary fish specialties and wine. Ingrained between the Alentejo in the north and the Atlantic in the south and west, it is still possible to find the primitiveness and individuality, which make the wishes of every holidaymaker at any season come true. Come along to a little discovery trip through the 16 so-called Municípios (municipalities) from the sandy beach Algarve in the east, through the rocky coastline and Europe´s south-western most point Cabo de São Vicente in Sagres, to the steep west coast where every year thousands of windsurfers get to ride their dream wave. Every one of these sub regions offer their own attraction. The only things common to the entire region “Al-gharb” (means “the west”), which was occupied by the Moorish for centuries, are the charm and the hospitality of the Algarvios (inhabitants). If you travel by plane you will land in Faro, the biggest town and also the administrative centre and one of the most important harbour towns in the Algarve. From here it is about 70 km to the Spanish border, Castro Marim and Vila Real de Santo António, the two towns which lay directly next to the Guadiana River. 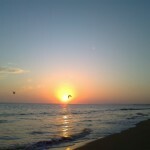 A heavenly coastal and mountain region, which has been spared from the construction and tourism boom. You can get to every worth seeing and important town, like the historic harbour town Tavira, which has a roman flair to it, through national roads or the highway. 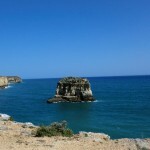 Along the rocky coast, between Lagos and Faro, several touristic centres have developed over the years. 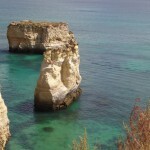 In Albufeira you will find souvenir shops and the so-called strip, which features many restaurants and clubs. Portimão with its marina, the well known beach Praia da Rocha and a wide range of shopping malls. In the old fisherman towns Ferragudo, Carvoeiro and Vilamoura with their Mediterranean flair you can indulge in the idyll and the illusion of past times. Furthermore many Germans, English and increasingly Dutch and eastern Europeans live or spend the winter in and around Carvoeiro. The region is a true paradise for golf players. It´s not just for the sake of it, that 7 of the 33 golf courses of the Algarve are listed under the 100 most beautiful courses world wide. 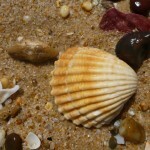 In Armação de Pêra and Alvor you will find never ending sandy beaches. 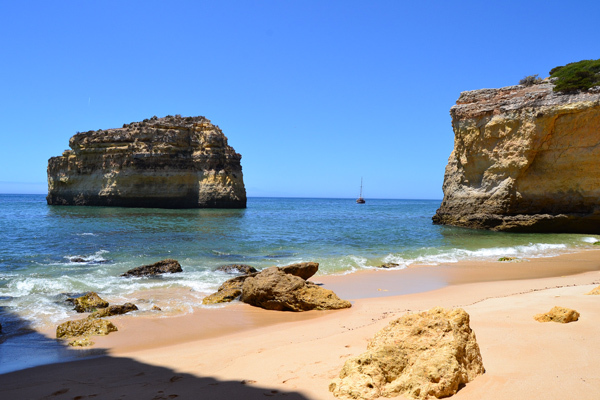 And between the exclusive resort Vale do Lobo and the cape São Vicente you will find innumerous little picturesque bays, many of which are only accessible on foot, with off roaders or even only through the sea side. However in the west the climate gets rougher. That is why the regions between Vila do Bispo in the southwest and the boarder to the Alentejo in the north, as the little charming town Aljezur, are not very touristic. Here you can hike trough almost wild nature. A paradise for Birdwatchers, Bike- and Hiking-Fans and also for those who like to ride. The entire countryside of the Algarve has a particular attractiveness. High in the mountainous landscape of the Serra de Monchique, about 460 meters above the sea level, lies Monchique surrounded by Cork Oaks, Rhododendrons and Eucalyptus trees. The town is a popular start point for many hiking tours, for example to one of the many water reservoirs. The most important town during the Moorish occupation between 711-1242 A.D. was Silves, which lies between the mountain foothills and the second biggest river of the Algarve, the Rio Arade. Silves has a big cultural offer, from the catholic Cathedral and the many archaeological museums to the castle, from which the view is beautiful. Farer in the east countryside lies the old craftsman town Loulé, which is known for its big market and carnival procession in February, when the almond trees are flowering. Loulé and Estói are two traditional towns which are gaining popularity due to their location. An absolute highlight is surely an overnight stay at one of the Pousadas, a hotel in a former convent, palest or castle, which you can find in Estói, Tavira and São Brás de Alportel. 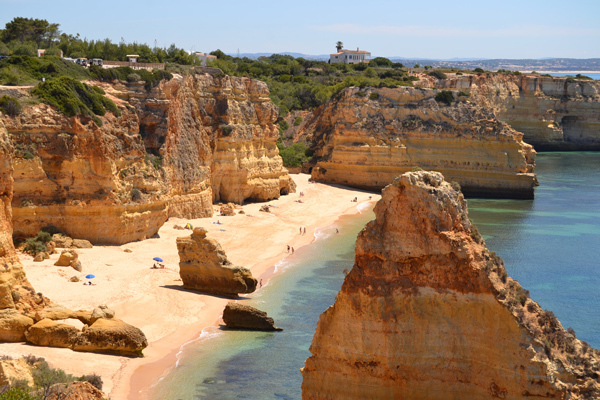 The 4.989 square kilometres of the Algarve offer all tourists and expatriates their individual idyll and suitable accommodations.